Avoid due process hearings and court dates. 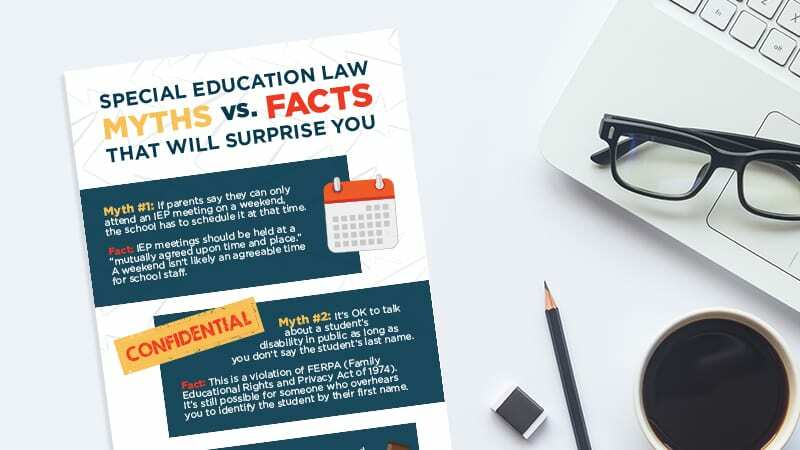 You don't need to spend your free time studying cumbersome legal volumes to learn more about special ed law. Check out Your Classroom Guide to Special Education Law, an interactive quick guide with concise answers. If you’re at a restaurant with a teacher friend, it’s OK to talk about a student’s disability as long as you don’t say their last name, right? Or is it? Whether you teach in a resource room or an inclusion classroom, it’s important to know your legal responsibilities. 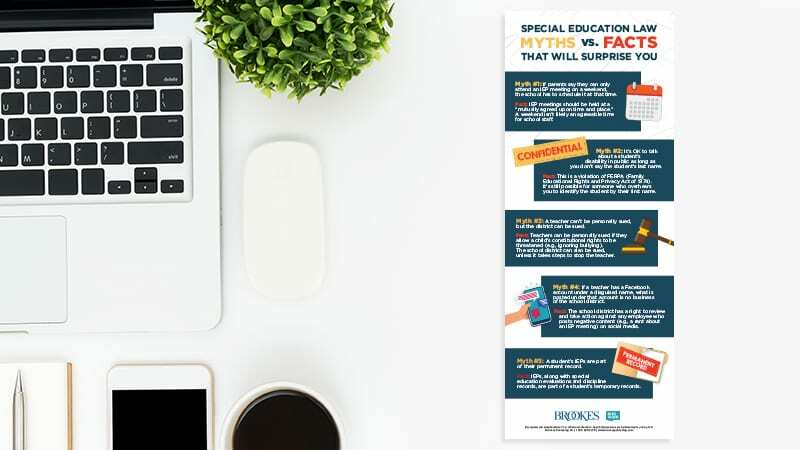 Get access to “Special Ed Law: Myths vs. Facts That Will Surprise You,” a free printable resource we think every teacher should keep on file. Save it, print it, and share it with your colleagues. Yes! Please send me news and offers from Brookes Publishing.